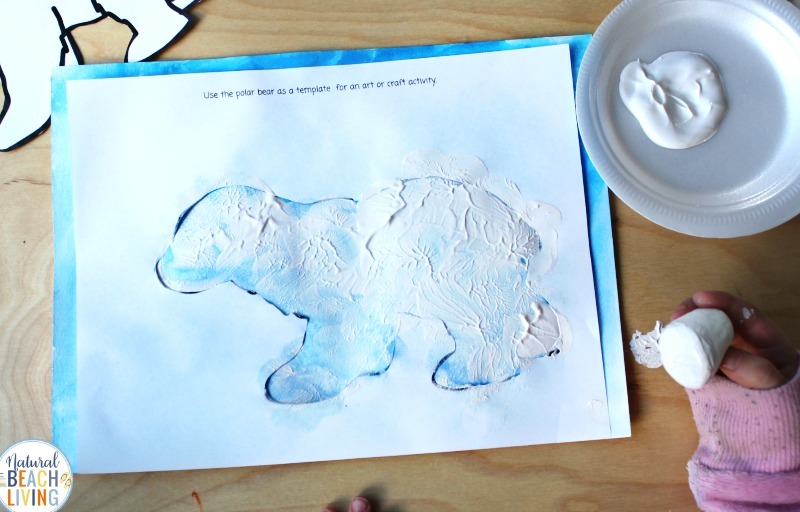 This Polar Bear Art for Preschoolers is an easy activity to add to your winter animal theme. 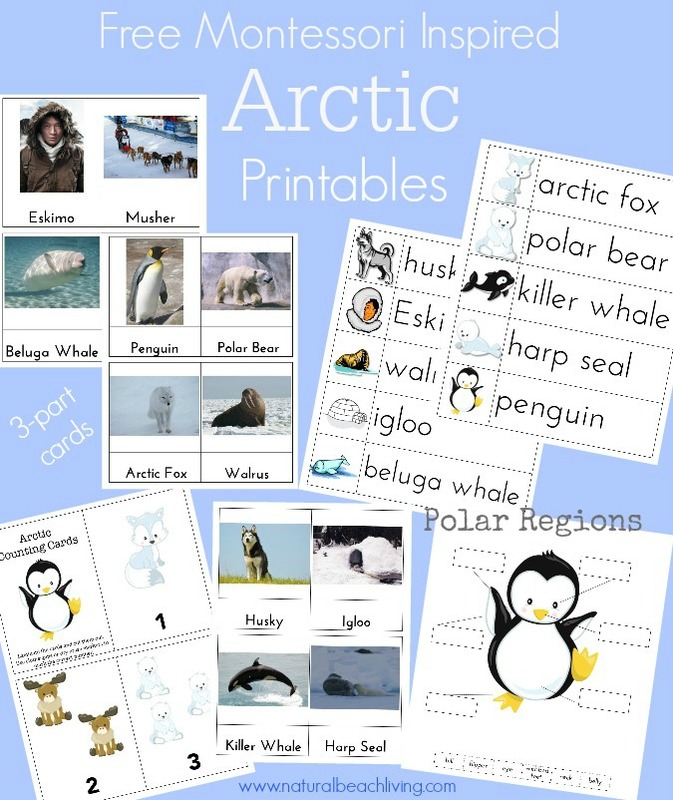 Download and print out the polar bear printable to use for some of your arts and crafts this season. 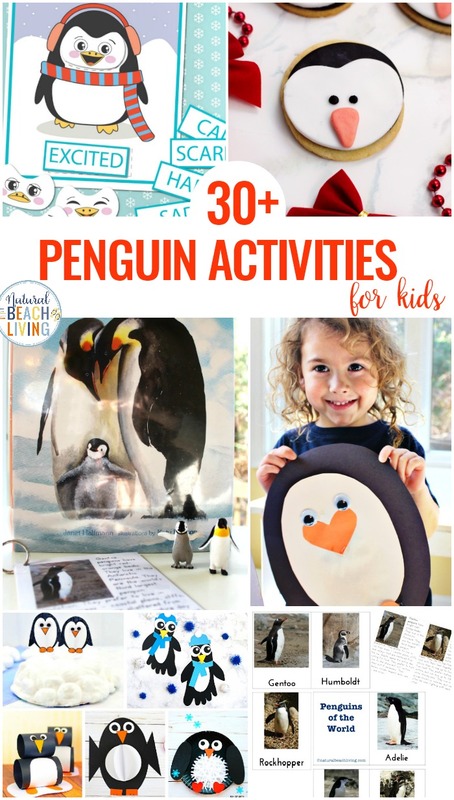 Since winter is the perfect time to introduce your kids to polar bears and their habitat, we are sharing several fantastic ideas with you. 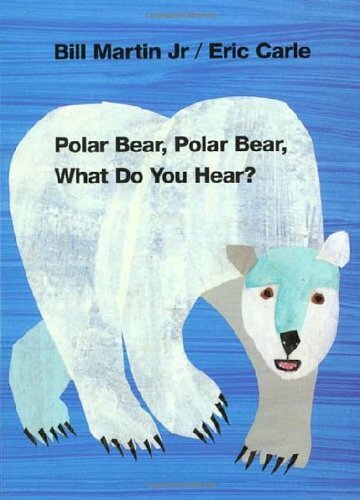 Polar Bears are exciting animals to learn about, and they can be used for several winter themes. 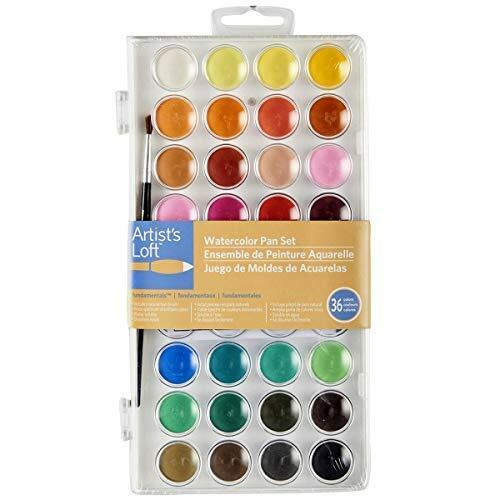 Kids love using watercolors for painting so coming up with this winter art idea was easy. 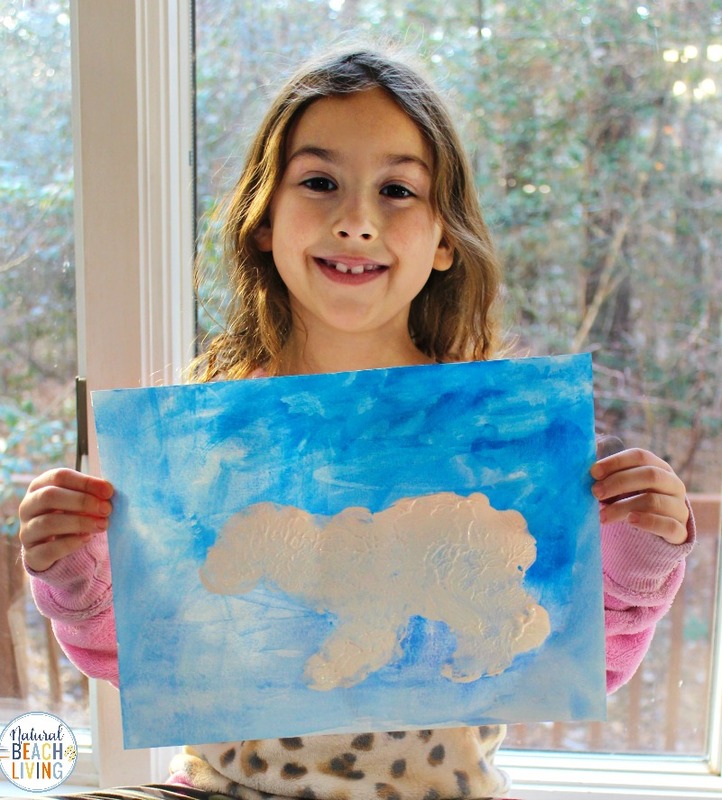 After reading about polar bears and talking about where polar bears live I told Belle, she could paint the paper whatever colors she thought went with a polar bear scene. She used a few different blues and said it reminded her of the ocean and sky. 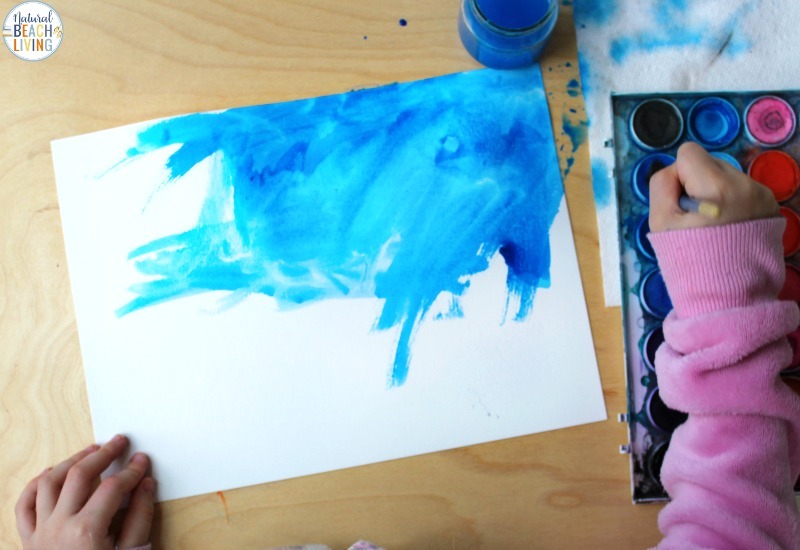 Children can also use a variety of colors for it to look like the sunset or the aurora borealis (Northern Lights). After the background is completely painted and you’ve let it dry for a few minutes. Cut out your polar bear to use for the next step. 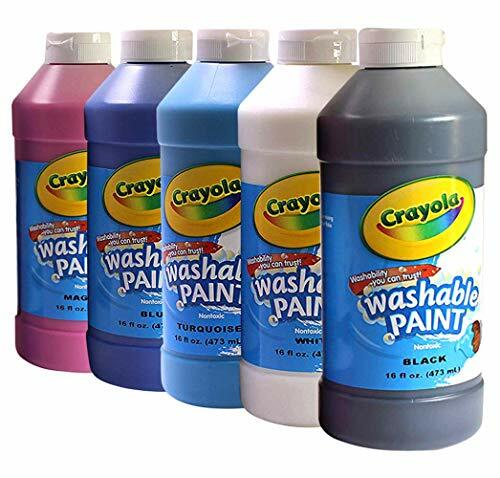 I suggest having them cut out beforehand if you are doing this art activity with a class or multiple children. 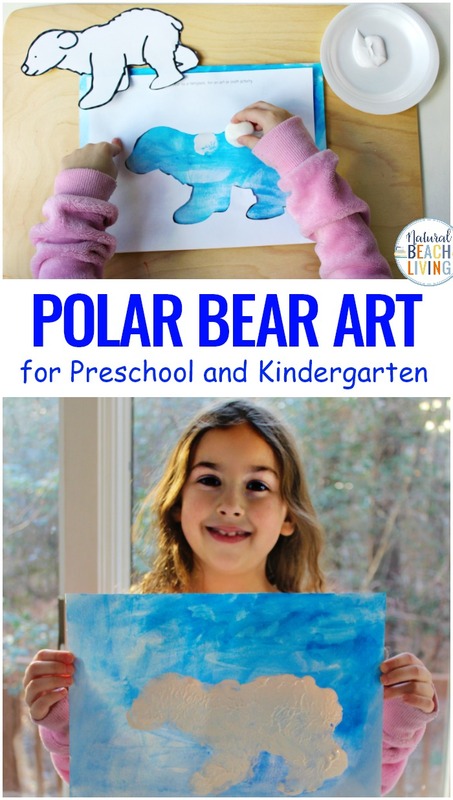 Set aside your polar bear to use for a different activity or you can see the other ideas for this polar bear art below. 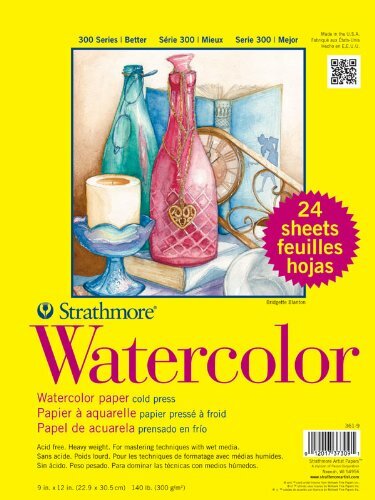 Have your child place the white paper on top of their painting. 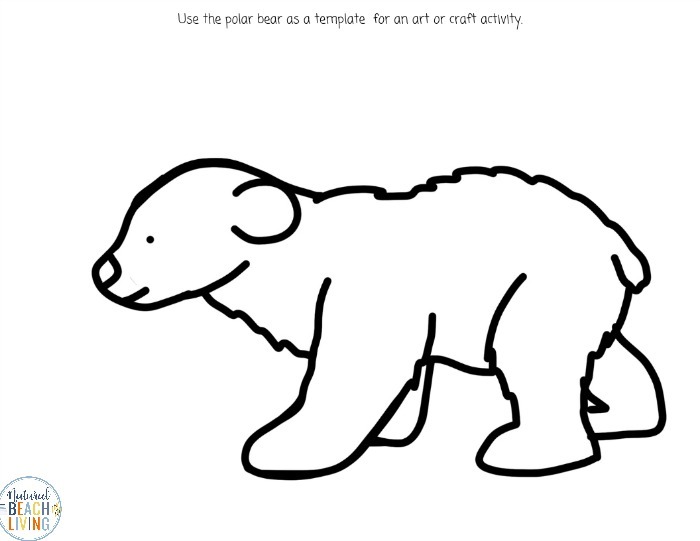 We used a large marshmallow and white washable (Crayola) paint for the Polar Bear. 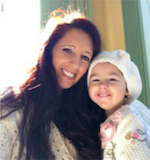 Your child should dab the marshmallow or use it to paint the polar bear. 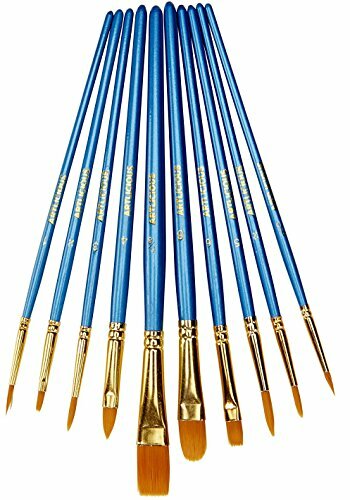 You can also use cotton balls for painting. 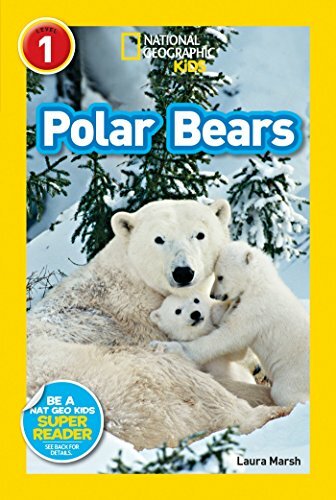 Take the paper off when the children are done, and you have your polar bear art piece. 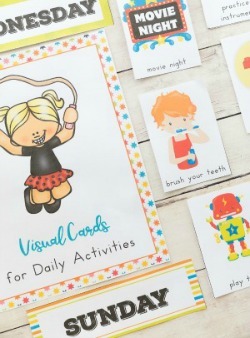 You can do this art activity a couple of different ways. 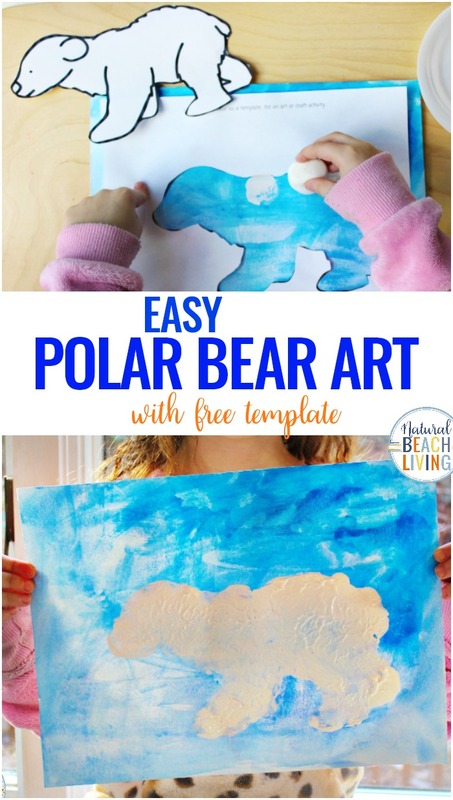 If you are looking for a great process art idea, Place your polar bear (I would use a small piece of tape on the back to keep it in place) on the watercolor paper and have your child paint everything. 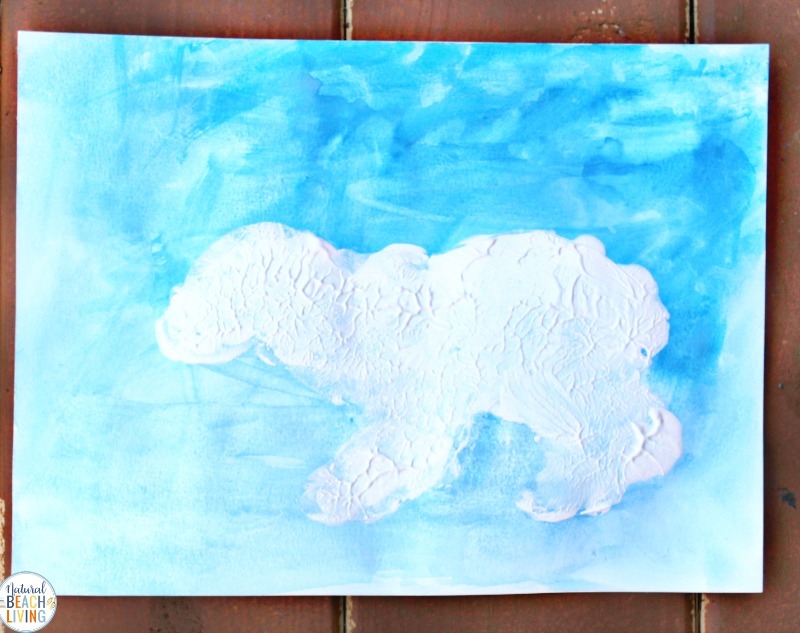 After your child has painted their whole paper peel off the polar bear template and voila, you will have a lovely polar bear. 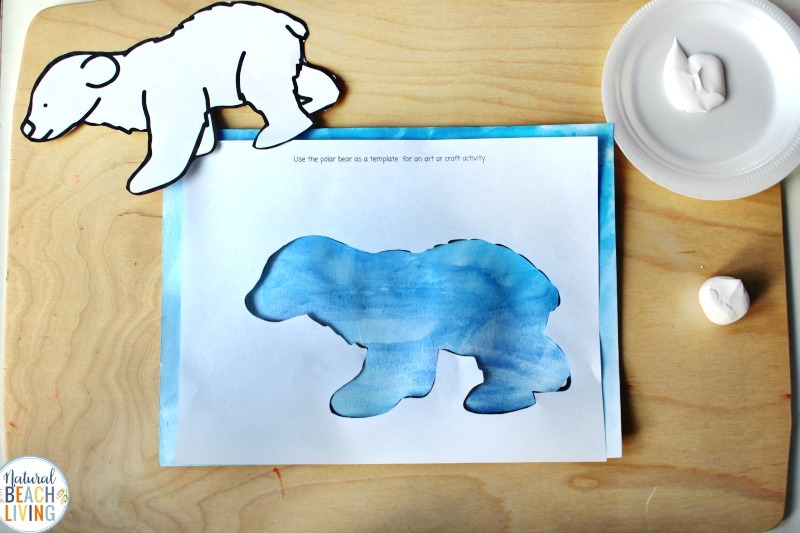 You can use this polar bear printable in so many fun ways. 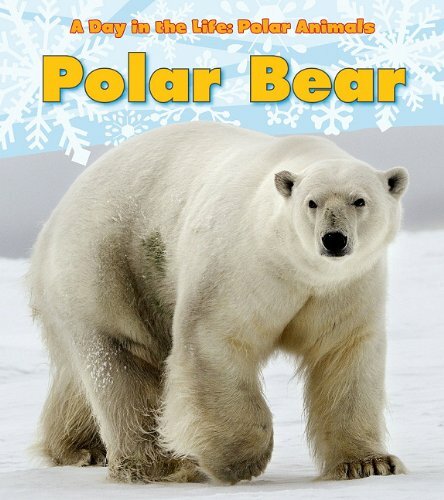 Have your preschoolers glue cotton balls to the polar bear. 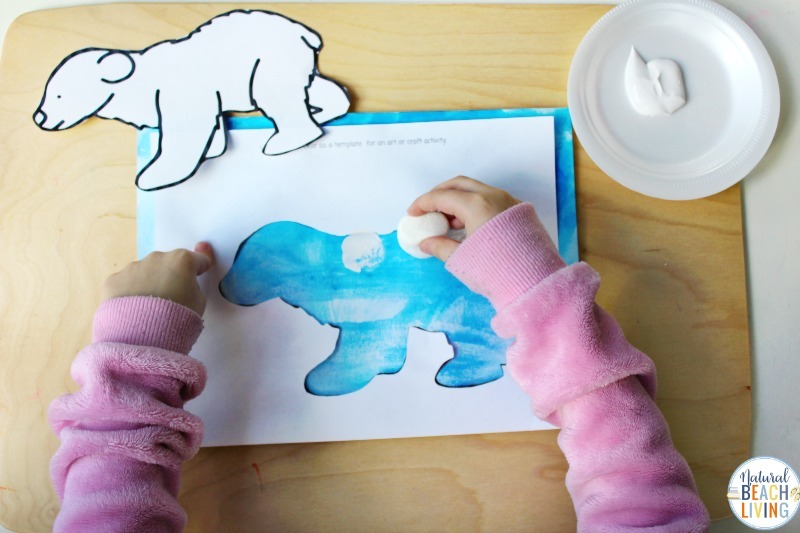 Cut the polar bear out and glue it onto your painted paper. 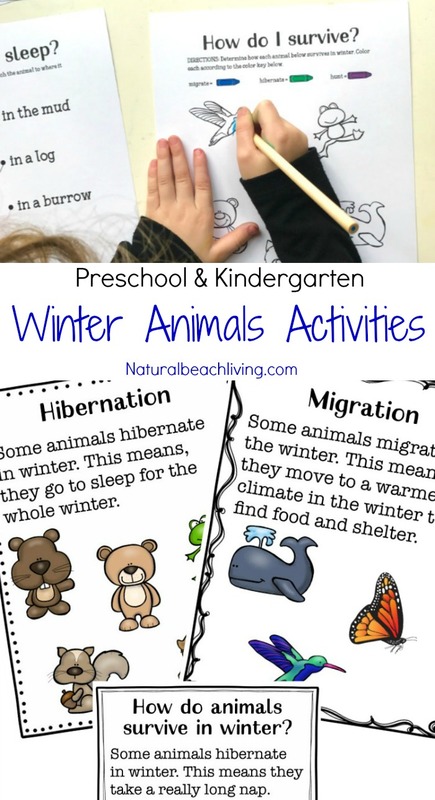 Have younger children use this as a coloring page during your winter animal theme. Polar Bears are considered a marine mammal because they spend most of their lives on the ice of the Arctic Ocean. They depend on the ocean for their food. Polar Bears can swim for several hours. Male Polar Bears can weigh as much as ten men. Polar Bears skin is black, and their fur is see through which gives it a white look. They live in a snow den during the coldest months or when giving birth to a new baby. 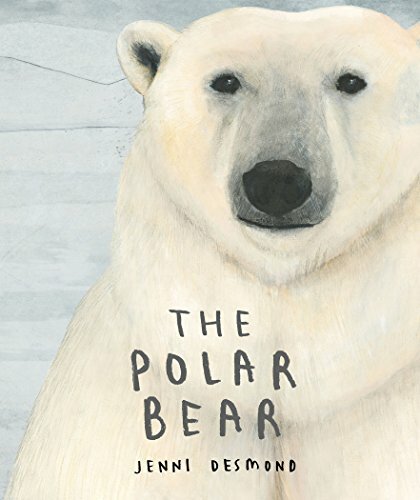 Polar Bears are the only bear species to be considered marine mammals.